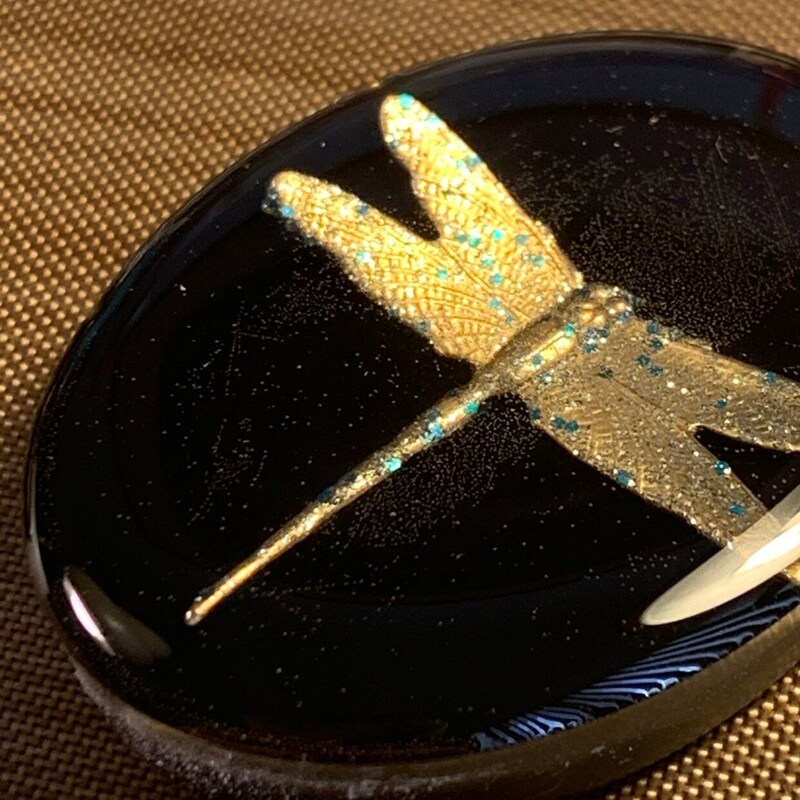 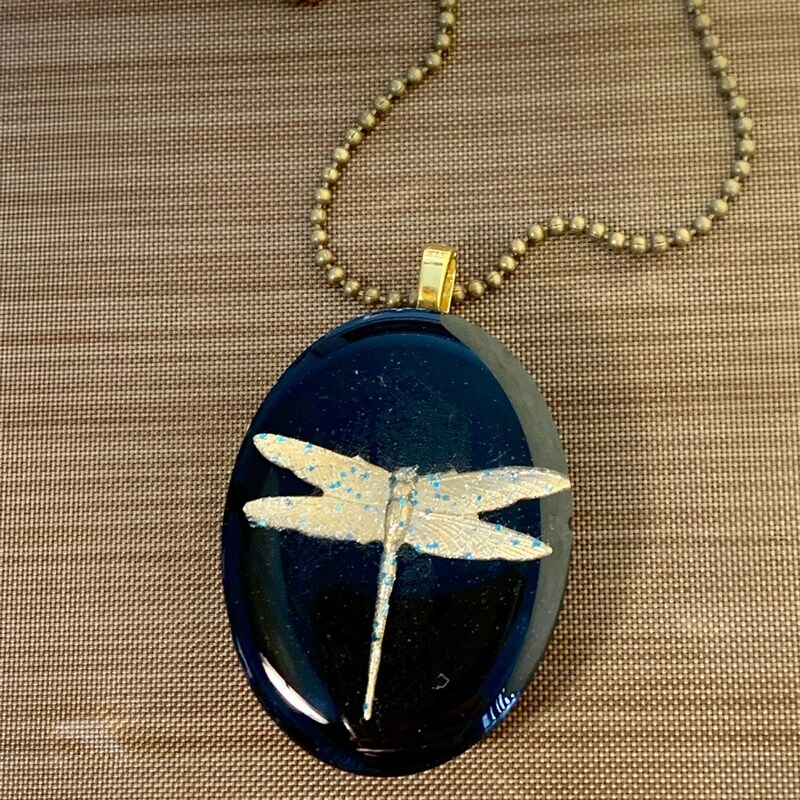 Dragonfly on Black colored resin. 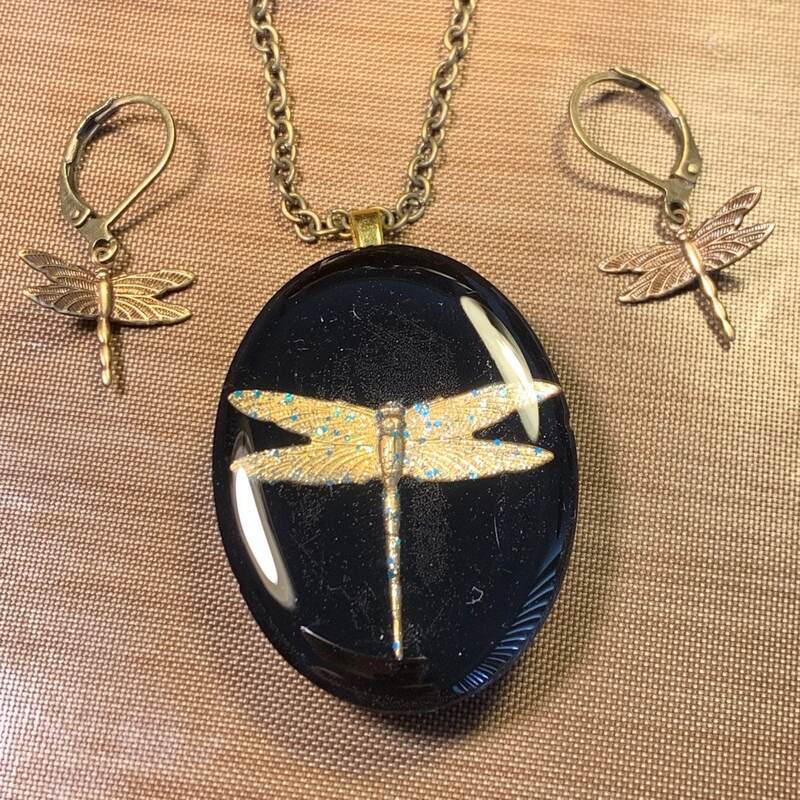 One of a kind Large Pendants made with black colored resin with a sparkles brass dragonfly charm suspended in flight. 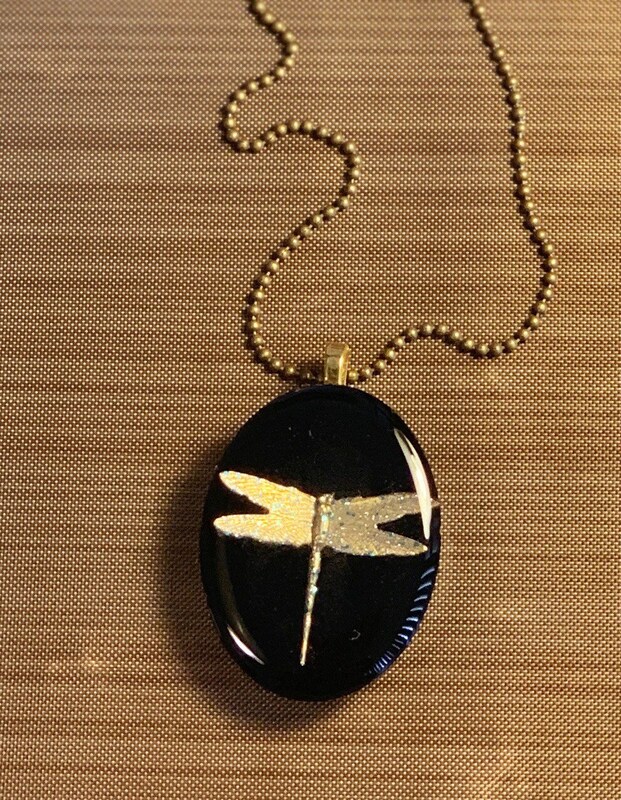 Oval (1.5" tall) with the dragonfly suspended in black colored resin. 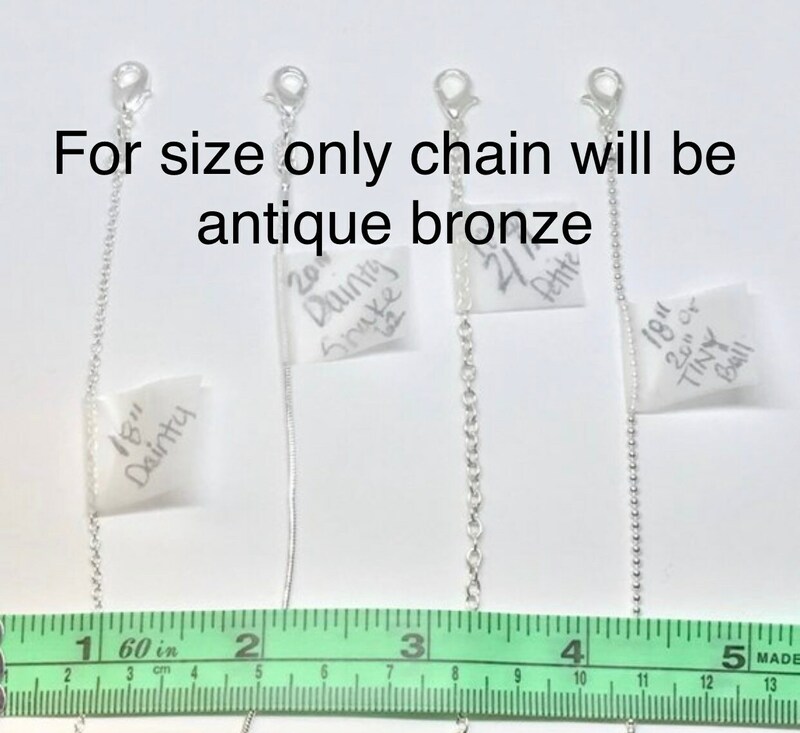 Choose from Brass Bail with a 18" or 20" Antique brass/bronze TINY ball chain 1.5mm with lobster clasp. 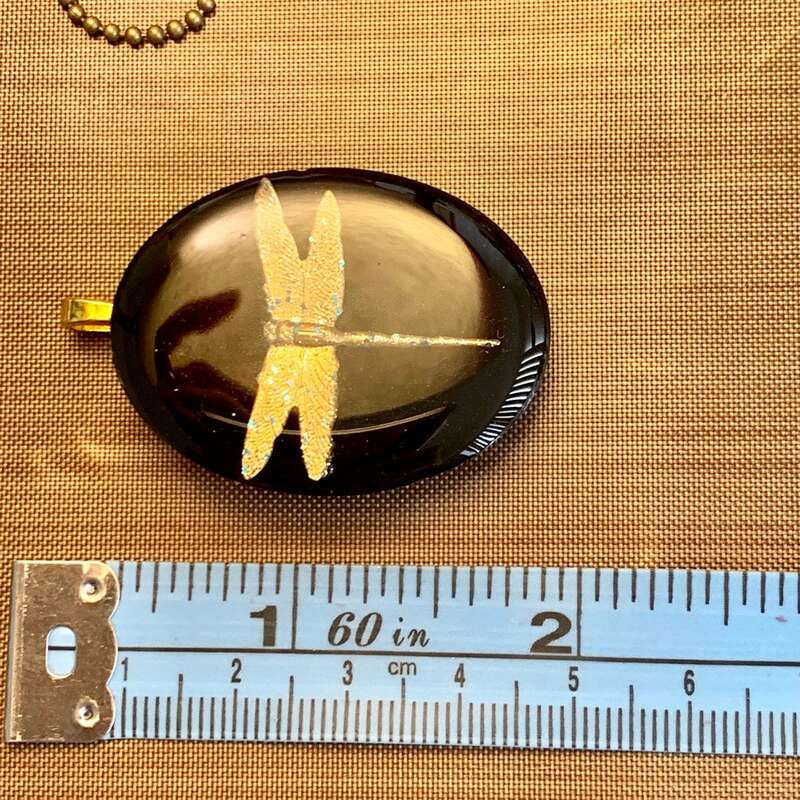 18" or 20" Antique brass/bronze petite cable link 2x3mm chain with lobster clasp. 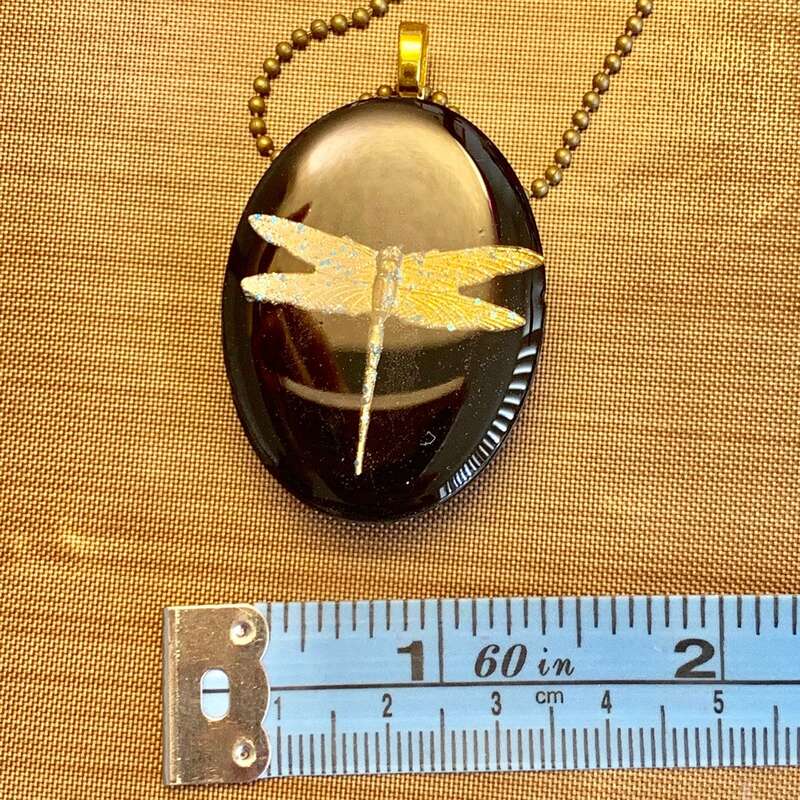 18” Antique brass/bronze dainty cable chain with lobster clasp. 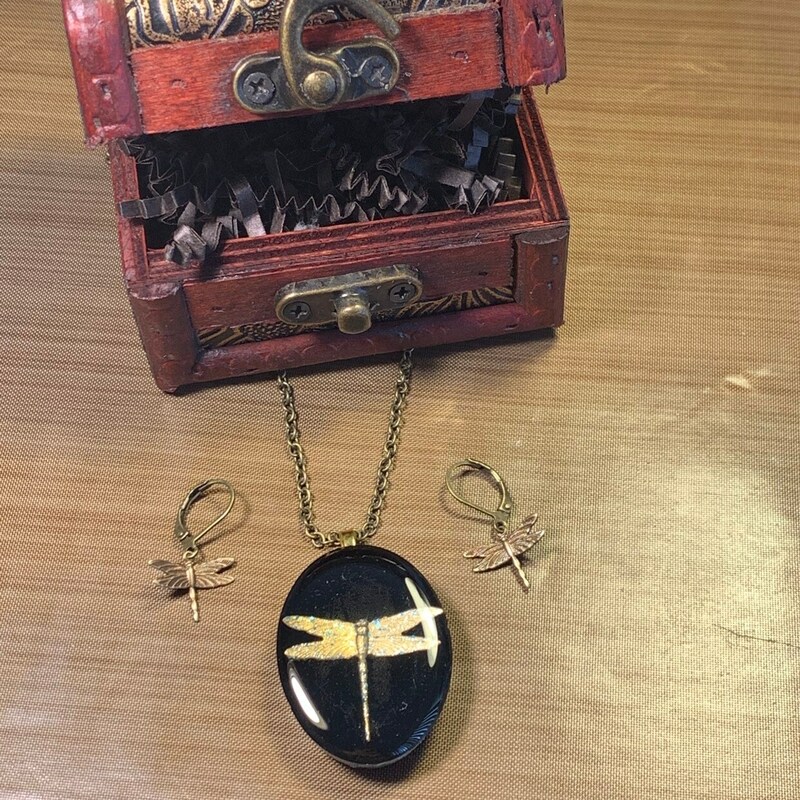 For a gift set CHOOSE Style and WOOD BOX to get the necklace with matching earrings in a lovely mini treasure box where you can store it and other tiny treasures. 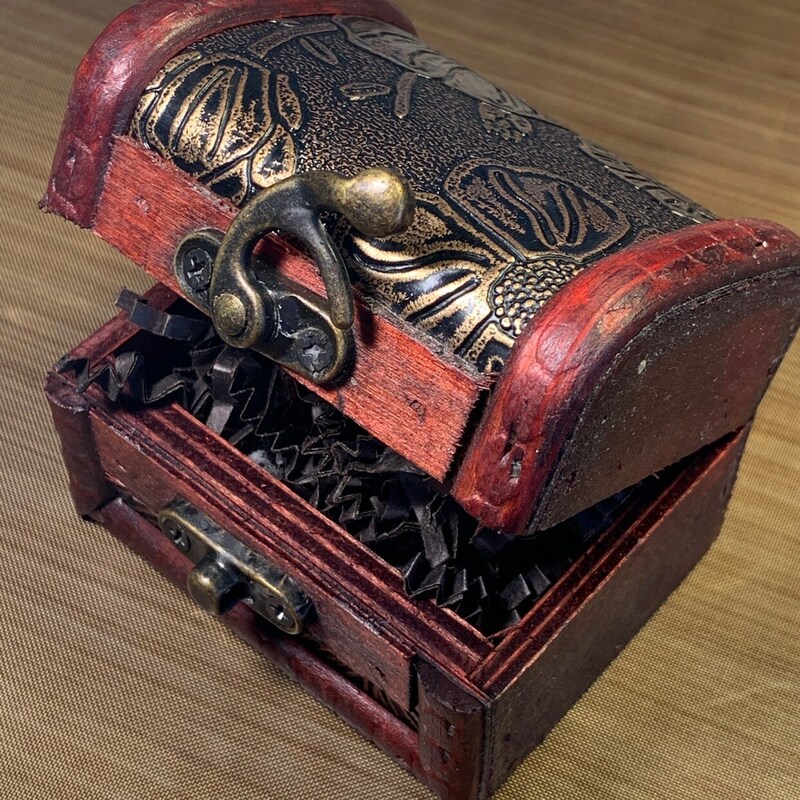 Besides Gift sets, comes in a small box to give as a gift or to keep for yourself.